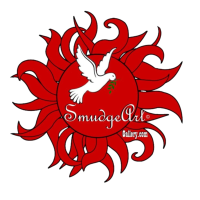 » Visit SmudgeArt Gallery / Madeline Allen's profile on Pinterest. My Interests: My interest are Greeting Card Designing, Painting, Poetry, Photography, Digital Art, Writing & Illustrating Children's Books, Flower Gardening, Arrangements and Various Arts and Crafts. CONGRATULATIONS Maddy on your Design of the Day!!! Well done and well deserved! Hi Madelyn! I just ran across one of your newest cards from the terminally ill and had to see the rest. ALL of this collection is absolutely beautiful and the verses couldn't speak anymore from the heart! Well Done and Much Needed! Cute cards Madelyn, best of luck for the coming year. Madelyn, absolutely love this little red fox card. Love your store. Your have a wonderful selection. I will be back time after time to enjoy your cards. Great having you as a friend on facebook! I admire your rich imagination and the quantity of good ideas for making such beautiful greeting cards! great cards - love your work!!! Hello fellow Canadian! I just had to take time to say that I just love your store. Your cards are wonderful and showcase your talent beautifully. Your passion is an inspiration and certainly shows in all you do........ what an amazing collection of "you"!!! Hi Maddy.it's been a while since I was here..my how you have expanded your awesome inventory! Everything is such a delight and so well done...I can only say: YOUR LIGHT IS SHINING SO BRIGHT!!! amazing cards, I am speechless,what a talented artist you are! Hi there, you know how slow i am :O))) Thank you for visiting me...what a joy to see you here! Your site just glows with your wonderful talent and beautiful art!!! I adore your polar bear cards....great sense of style and you have captured the moment. you have wonderful store here. Great storefront Maddy! I guess you just do everything well. I know when it comes to artwork,showmanship, and friendship, you're batting a thousand. I wish you all the best with this venture. May God's blessings be on it and you. These are absolutely beautiful Maddy! Wonderful work! ABSOLUTELY LOVELY, Madeline. I will be back often to check out your newest work. A real treat. Beautiful cards! Keep up the great work! Hello Madeline, Your art is absolutly awesome. I love the bears. You are a very talented lady for sure. Your cards put a big smile on my face! Beautiful Art and design. Your shop is a class act I must say. Very nice. Hi Maddy... your cards and artwork continue to amaze and astound me with their vibrancy, color. and passion!!! I have purchased cards from you, and can attest to the fact that they are of outstanding quality,,, and the comments I received from the recipients of those cards was in every case 100% positive!! I wish you many sales any much joy with this and future endeavors!!! Maddy, this is beautiful! You're so very creative and inspirational with your art. I really like the fact that you point to Jesus in such a gentle manner, that each is a little angel. Fantastic smudgeart by a fantastic woman who plainly loves her work and it shows, you can see her heart and soul goes into each and every work of art. I love it and so do my kids. I own some of her work and it is stunning. I know she will do well as Maddy gives 100% of herself to anything she does. hey maddy your work is amazing and so varied. i love that you put so much heart into every piece you have produced. your light shines through your work. Madeline, you have a beautiful Card Shop.I'm sure it will be a great success! Madeline is one of the most talented people that I have ever met! Not only is she a fantastic artist and photographer, she is truly a wonderful person and great friend. Purchase her work with the knowledge that this is a person of character and integrity! I am a fellow photographer of Madelines, and I have purchased some of Madeline's fantastic artwork. I can tell you first hand that you will not be disappointed with your purchase. The expertise and quality of her work is top of the line and Madeline's love of life and all things in nature shines through her compassionte and beautiful artwork. My goodness.. I do so love this womans heART! I feel I am with my sweet polar bears and wolves even if I do not live next door. Her work is exciting and precious to me and my family. My family and friends love a smudge art card because Maddy really cares! Thank you for your site and for your unique art! !